Wind mill operators in the Netherlands want a cap on tourists visiting their small, picturesque Dutch village. 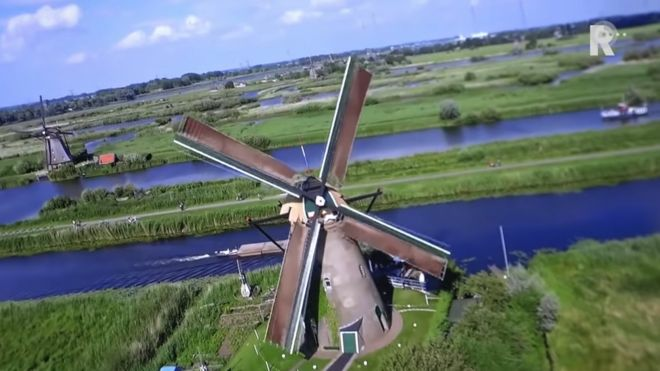 Dutch windmill owners ask tourists to limit their numbers. Kinderdijk Was The First Stop On My Viking River Cruise From Amsterdam. 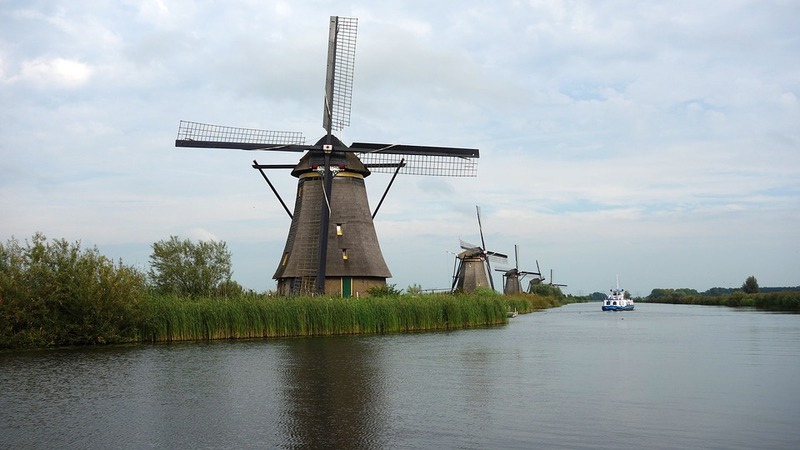 Until my visit to Kinderdijk, the closest I’d been to a windmill was a cellophane-wrapped box of windmill cookies. So when I had the chance to visit a centuries-old working windmill village with Viking River, off I went. Our riverboat, the Viking Jarl, made an early morning approach into a chilly, fog-shrouded Kinderdijk. The sun was desperately trying to break through the mist. Apparently, an early September in Holland didn’t guarantee a warm, autumn day. There they stood; 18th century sentinels, keepers of the flood gates. Most people don’t know this but much of Holland is below sea level. Kinderdijk, in particular, is over 20′ below sea level. When the Dutch finally realized that to live in this low-lying area, something had to be devised to keep the flood waters away. In 1738, the clever Dutch designed eight of the nineteen mills and a series of canals and drainage systems. A successful water management system would alleviate flooding. The remaining eleven windmills were added over the next hundred years. Are you planning to visit Europe this summer and not sure which country to spend most of your time in? We highly recommend the Netherlands. It is the land of old school windmills, waffles, Gouda, tulips, bicycles, canals and is one of the most liberal countries in the world. The Dutch love their bicycles and literally all the destinations in this lovely country are bicycle friendly. However, exploring the entire Netherlands on a bicycle may be a little too extreme for many, so our first tip for you is to use a rental car. Depending on how you plan, you can pick up your car at the start of your journey in Amsterdam and drive your way around the country. We’ve created a one-week itinerary for you to explore the Netherlands on your own by car. Depending on your pace of traveling, you can make this journey in 5 days or 7 days or even 14 days. When San and I travel, we usually travel slow and spend a long time in each destination to get a feel of it. An icy wind blows the windmill’s soaring sails, turning them quickly and cranking the large stone wheels inside in a time-honored method of grinding grain. “I live from the wind,” says Dutch miller Maarten Dolman, one of only about 40 people in the Netherlands to still earn a living from making flour in a way that has changed little down the centuries. “It’s been my engine for the past 30 years,” he smiles, as jute sacks quickly fill with powdery white granules. After making his early morning deliveries to local bakeries, Dolman starts on his daily production of up to 2,200 pounds of flour aided solely by the power of the bone-achingly cold wind, which moans across the low-lying northern European country. The Netherlands is famous for its use of windmills: to not only harness the power of the wind, but to also change the landscape and grind grain. 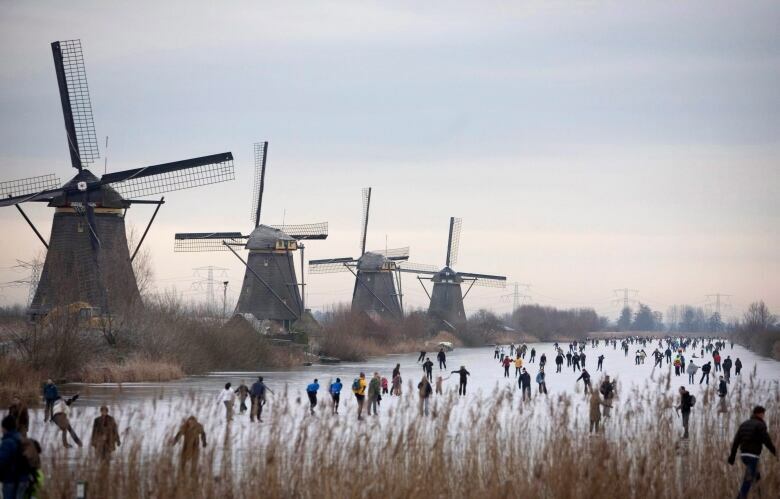 When we think of windmills, we ultimately think of the Netherlands. 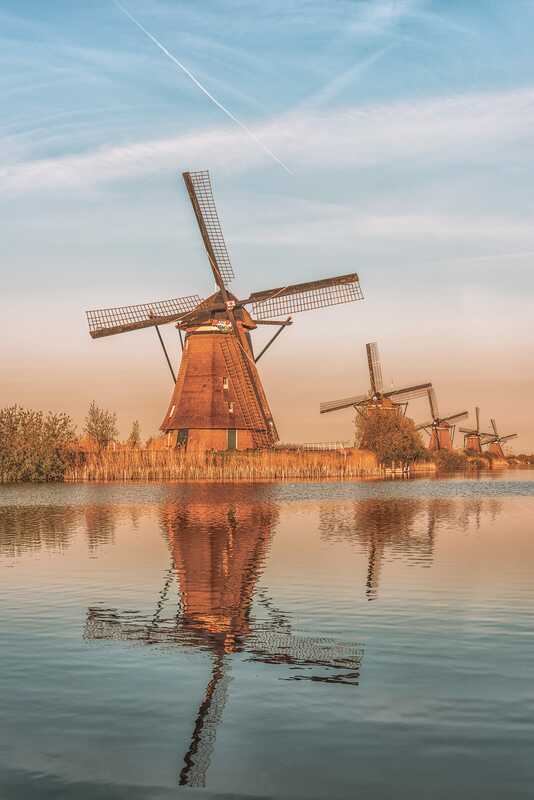 Other countries are also home to windmills, but the Netherlands seems to have become famous for its use of windmills: to not only harness the power of the wind, but to also change the landscape and grind grain. The sheer volume that exists in this small country is astounding. We probably all know what a windmill is, but to clarify, they are large mills with sails that catch the wind. The energy created by the turning of the sails is used to drain land, extract groundwater or grind grain. Today, modern windmills, called wind turbines are used to generate electricity. If there’s one building type that defines Holland more than any other, it’s the windmill. But for Peter Paul Klapwijk, the iconic Dutch structure functions as much more than a wind-generated water pump. It’s the place he and his family call home. How exactly does one get to live in a windmill, you may wonder? “I fell in love with a daughter of one of the millers and started as a miller’s student,” Klapwijk says. When his wife’s parents retired and moved elsewhere a few years ago, they took up residence in the centuries-old structure and have quickly adjusted to their new and unconventional way of life. What makes this story even more unusual is that their windmill home is in Kinderdijk, which is a UNESCO World Heritage Site. A new World Record has just been set by some of the best break dancers in the world, with less than a month to go before the Red Bull BC-One World Final. Power moves, dynamism and team effort resulted in a new World Record for Most Simultaneous Windmill Moves performed in 30 seconds. 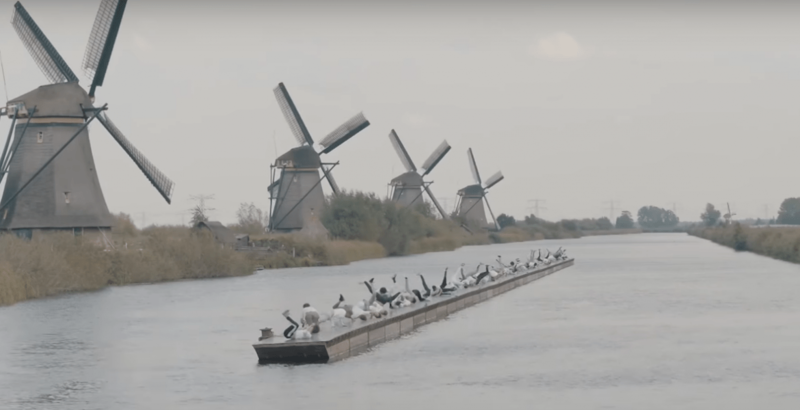 As a fun nod to the origin of the name for the move, the spectacular stunt was set against the eponymous backdrop of Kinderdijk, Netherlands, known for its iconic 18th-century windmills and UNESCO World Heritage Site. The raw energy of the wind moving the blades is a reflection of this extremely challenging move, which requires breakers to lift their legs up in the air and twist them in a spiral movement, while their torso and head rest against the floor. The dancers joined forces in front of an impressive backdrop of the 18th-century windmills at a UNESCO World Heritage Site. This could be one of the strangest world records ever set. More than 70 breakdancers performed the most ‘windmills’ in 30 seconds in the bizarre footage. Led by Italian “Prince of Power” Cico (Mauro Peruzzi), the team worked together to complete the challenge. As a fun nod to the origin of the name for the move, the spectacular stunt was set against the backdrop of Kinderdijk, Netherlands. It has not been reported how many windmills were performed in the half-minute stunt, or whether it has yet been official recognised by the Guinness World Records.